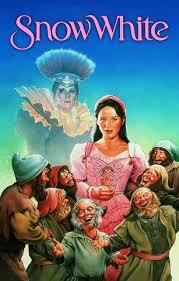 So, anyway, the next one on my list is Snow White from 1987. The movie stars Nicola Stapleton as young Snow White and Sarah Patterson as the grown-up Snow White. Our marquee star this time is Diana Rigg, best known as Emma Peel from The Avengers (British spy show, not superhero team playing the evil queen. One other face you might recognize is Billy Barty, once again doing the fantasy dwarf thing that he was practically an expert at by that point. This movie is interesting because there are some parts that really stand out to me as interesting or well done. However, there are other ideas that make me cringe. There’s also one scene that is so bad and crazy it makes me practically laugh out loud. First, let’s start with the good parts. One good part is that I really don’t have to tell you the plot of this movie. That’s because it’s “Snow White”. It’s probably more “Snow White” than pretty much any adaptation of Snow White I have ever seen. I have very rarely seen a movie that paid so much attention to the details of the text as it appeared in the Grimms’ book. For example, you know that scene at the beginning of the fairy tale in which the queen drips some blood on the snowy windowsill and wishes for a child as white as snow, red as blood and black as ebony? That scene’s in there, albeit with a musical number. Or remember how the tale says that Snow White was only seven when her beauty started to surpass the Evil Queen’s? Well, in this movie she’s only seven when she first arrives at the Dwarfs’ cottage. She also stays there for ten years. Why the Evil Queen hadn’t been checking up on who was the fairest for that decade, I don’t know (I suppose maybe for some time in the middle there, Snow’s awkward teenage years might have sent the Queen back to number one). It has the poisoned apple that has a red half and a white half. It even has all three of the queen’s attempts to end Snow White’s life. Though, there is something about that which isn’t so good. I’ll get to that later, though. There are some things they leave out, but what they include is impressive enough that it doesn’t matter. There are some other bits that I like. I like that it starts with the moment that the Prince finds Snow White in the glass coffin and the rest of the story is related by one of the dwarfs telling the story. I like that they had a good reason for the Huntsman to be charged with killing Snow White and why it didn’t seem suspicious for him to be accompanying him. Namely, that it was during a hunt. I even liked that they changed the Queen’s punishment at the end. She isn’t made to dance to her death in red hot iron shoes, but she does get her comeuppance in a way that is almost as gruesome and which fits her crime a lot better. But let’s move on to the stuff that’s not as good. First of all, let’s remember that this is a musical. As a musical it should have good, catchy, memorable songs. Well, it doesn’t. Most of the songs are pretty lame. Probably the best of them is a song I’m assuming is titled “More Beautiful than Me” sung by the Diana Rigg as the Evil Queen. However, this song isn’t even listed in the credits. Here it is, by the way. Most of them are just awful. Young Snow White sings this lyrically painful number about trying all the Dwarfs’ beds in the cottage that just makes you think “Why is she even singing this?”. The sets and locations aren’t the greatest. The castle’s okay. However, the Dwarfs’ cottage and mine look really fake like they were built for a cash-strapped amusement park. The movie doesn’t do a great job disguising its locations too. All the Cannon Movie Tales were filmed in Israel, however I’m pretty sure we’re supposed to believe that it’s a European location because of the sets and costumes and where the tale was collected from. However, once Snow White is out in the forest, you can tell that it’s not a European forest. It’s especially the case when they show the animals living in the forest. I mean, there are monkeys, for goodness sake. Also, the Dwarfs don’t really stand out much as individual characters. Here their names are Iddy, Biddy, Kiddy, Diddy, Giddy, Fiddy and Liddy. Which one is which? I couldn’t tell you. However, that may have been by design, considering they sing a song about how no one can keep that straight. The big one though is the Queen’s disguises when she’s going to kill Snow White. The last one in which she dresses as a peasant woman in order to give Snow White the apple is fine. The other two are not. They are rather racist, in fact. First, when she gives Snow White the bodice (not just a lace but a whole bodice), she dresses like a really cliché Romani woman and speaks with an accent that’s pretty much unplaceable. The second time when she brings Snow White the comb, she’s dressed in the most blatant example of yellow-face I’ve ever seen. Only it’s not really yellow but stark white. I don’t know if she was supposed to look like a geisha or a giant porcelain doll or what. Anyway, it’s accompanied by an accent that makes her sound like a cutesy Elmer Fudd. I know she’s the bad guy, but it’s still wrong on a level that exceeds that. I’m just going to put the clip here. You know what you’ll see. That’s about it. I can’t think of anything else. Oh, right. The laugh-out-loud crazy part. Well, remember in the fairy tale when the Prince and his servants are carrying away the lifeless body of Snow White (super creepy, but not the point this time). Then one of the servants trips which causes Snow White to cough up the pieceof apple caught in her throat which allows her to return to the land of the living. Well, in this version her glass coffin is being carted away through a blizzard. A tree falls in front of the wagon causing the horses to rear and the glass coffin to slide off the wagon. The jolt then causes Snow White to cough up the most badly rendered apple core you’ve ever seen, which doesn’t just fall but flies into the air, shoots toward the palace and into the Queen’s window where it strikes the sleeping Queen on the head. I am not even kidding. I did a double-take when I first saw it. It’s in this clip. Give it a look. So, while this is a flawed movie, it’s also an interesting one. I’d suggest seeing it just to see all the little details they stuck to as well as the ridiculous apple core scene. You’re just going to have to sit through some bad musical numbers along the way. 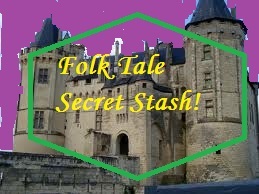 This Folk Tale Secret Stash is going to be a little bit different. It’s going to highlight a less well-known folk tale (at least in America), but it’s also going to focus on a specific topic. 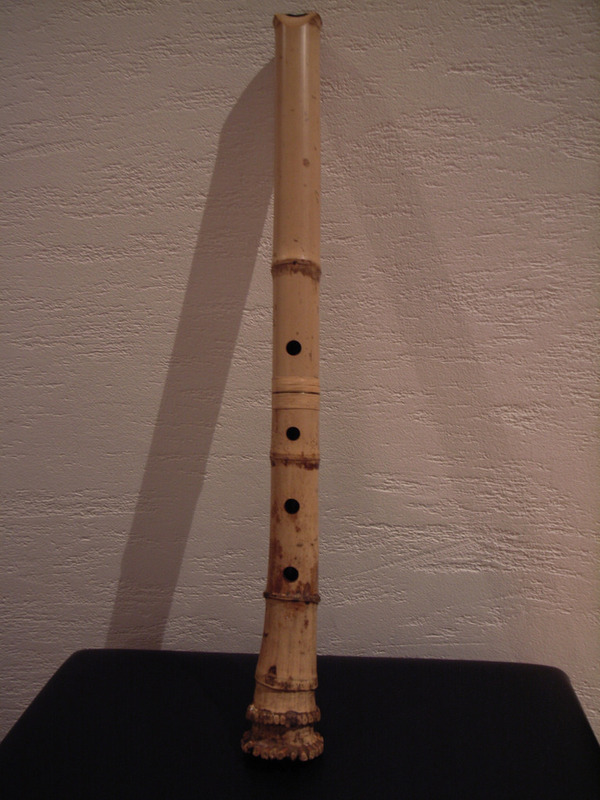 The story of “The Flute” is a Japanese folk tale about a man from Yedo who loses his wife and remarries to another woman. However, the man doesn’t know that his new wife is vile and black-hearted and that she holds a particular hatred for the man’s young daughter Oyone. The day comes when the man is set to take a long trip to Kyoto, one set to last for months. Before he goes, Oyone gives him a small flute made of bamboo. While in Kyoto, he gets wrapped up in his life and work there and forgets all about the little flute. Then one day, it falls out of the sleeve of one of his kimonos. When he plays the flute he hears the voice of his daughter saying “Come back to Yedo. Come back to Yedo.” Feeling a great sense of foreboding, the man rushed back to Yedo as fast as he could. When he met with his wife he asked where his child was, but she tried to elude his question. Finally, she answered “In the bamboo grove”. The man went to the bamboo grove and searched but couldn’t find her. Then he put the flute to his lips and played. From the flute came his child’s voice saying this: “Father, dear father, my wicked stepmother killed me. Three moons since she killed me. She buried me in the clearing of the bamboo grove. You may find my bones. As for me, you will never see me anymore- you will never see me more . . .” The man then took his sword and avenged his child on his murderous wife. Then he dressed himself in the manner of a pilgrim and undertook a journey to all the holy places in Japan. And for the rest of his life he carried that bamboo flute with him. I usually don’t give away endings like that. However, this time I had to do it. You see, that’s what we’re going to talk about here. Endings and how they work in fairy tales and what they contribute. I find that Japanese folk tales have a real way with unhappy endings. There’s a strange sense of acceptance that comes from them. Even when it seems like certain things are left unfinished. The thing is that there’s a certain mode of thought in Japanese culture, possibly because of spiritual traditions, that acknowledges the impermanence of things. Many things in this world are fleeting and that’s just part of life. We tend to fuss about the concept of endings in fairy tales. 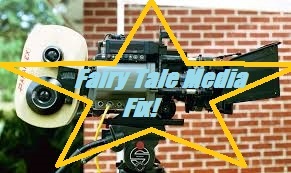 The concept of the “happy ending” and the phrase “happily ever after” loom large over the concept of the fairy tale. When people try to play up the fact that European fairy tales, mainly the Grimm ones, people have a tendency of saying how there “weren’t as many happy endings as you think” or something like that. How much does an ending contribute to a story’s tone? Now, there are two stories from the Grimms’ collection that kind of remind me of “The Flute”. One, with its music from beyond the grave is “The Singing Bone”. 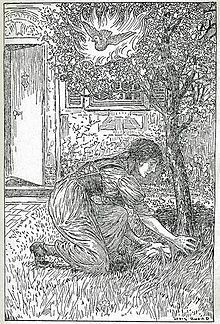 The other, because of its murderous stepmother is “The Juniper Tree”. These are two of the more infamous stories coming out of Grimm. “The Singing Bone” is the story of one man who kills his younger brother and marries the princess that had been promised to him. The crime goes undiscovered for years until a shepherd finds one of the younger brother’s bones and carves it into a mouthpiece for his horn. When he plays, the horn tells the whole story of the crime that was committed. The shepherd brings the horn before the king, who understands the bone’s song and has the older brother executed as punishment. The younger brother’s bones are dug up and buried in a churchyard. “The Juniper Tree” is the story of a stepmother who kills her stepson, pins blame for the crime on her own daughter and makes blood puddings out of the body and feeds them to her husband. The murdered boy then comes back as a bird out of the magical juniper tree, gives gifts to his father and sister and kills his stepmother. The bird then turns back into a boy. So, we have two tales here filled with murder and mayhem. Yet, in a way they both have happy, or at least, positive endings. In “The Singing Bone” the younger brother is still dead, but for a little while it seems like the older brother is going to get away with it. In the end, it’s at least nice to see the crime exposed and justice carried out. “The Juniper Tree” on the other hand, returns the murdered boy to life after all the murder has been done. Then we compare them to “The Flute” which has a negative ending, but to me doesn’t feel as dark or troubling as either of those other tales. I think the problem we have when we approach folk and fairy tales is that they’re so often reduced down to a dichotomy of tone. Stories get classified as either “light” or “dark”. However, there is such a range of emotion to be felt in these stories. 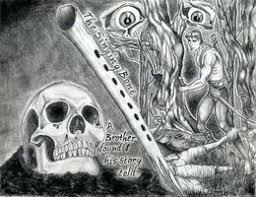 “The Singing Bone” is shocking at the point where the older brother kills the younger one. However, there’s a feeling of righteous triumph when the killer is exposed and punished for his crimes. “The Juniper Tree” feels shocking throughout but then tries to at least end on a high note by bringing the murdered victim back to life. “The Flute”, however, is just sad. The death of the daughter feels like it’s being built to from the beginning, so it doesn’t feel particularly shocking. The vengeance taken on the stepmother also isn’t shocking, because in this particular story from this particular time and culture, it seems like the only possible punishment. In the end, you’re only left with the father and his broken heart as he begins his pilgrimage. I think that stories are more than their endings. Summing them up as “light” or “dark” or categorizing them because they have a “happy ending” or “unhappy ending”, just feels kind of limiting. If you’d like to read “The Flute” and other Japanese fairy tales, you can find them on Fairytalez.com along with stories from a number of other public domain texts. Until next time . . . well, let’s just say this definitely isn’t the end.